Our innovative Veterans Matter program houses the homeless veterans abandoned on the streets of our nation and is supported by many in the music industry including Katy Perry, Kid Rock, Ice-T, Kix Brooks,	John Mellencamp, Dusty Hill, and others. 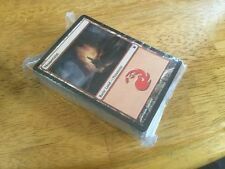 3 Color MTG Modern 500+ Blue/Red/Black Creatures & Spells No duplicates! Vntg Silverplate Ashtray Repousse Embossed Dutch Figural Tavern Scene 3"